Ok, so I kind of missed the boat on this, because it would have been PERFECT for Mother’s Day! 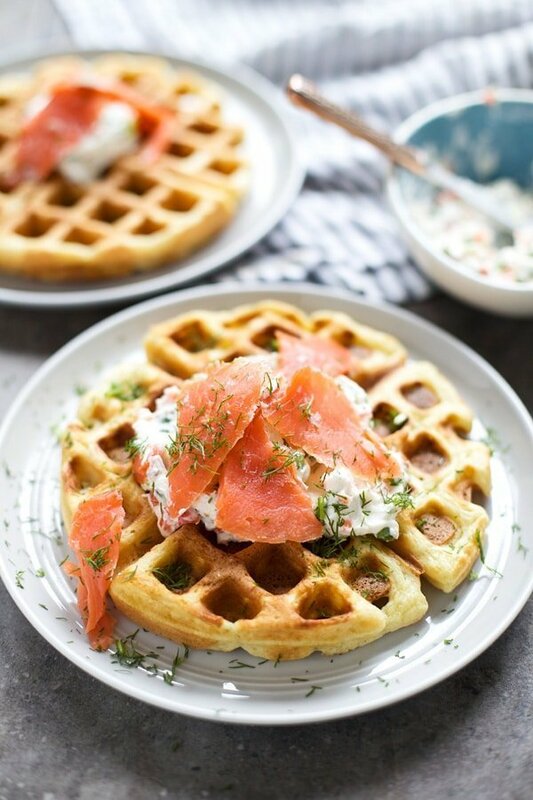 Luckily, breakfast, brunch and breakfast-for-dinner are meals that aren’t going anywhere anytime soon, so hopefully these Chive Cheddar Waffles with Lox and Veggie Cream Cheese will find a place on your kitchen table sometime in the near future. In most everyday life instances, I’m one to stick with the mantra, if it ain’t broke, don’t fix it, but when it comes to food, like Bagel and Lox for instance, that sentiment couldn’t be further from the truth. 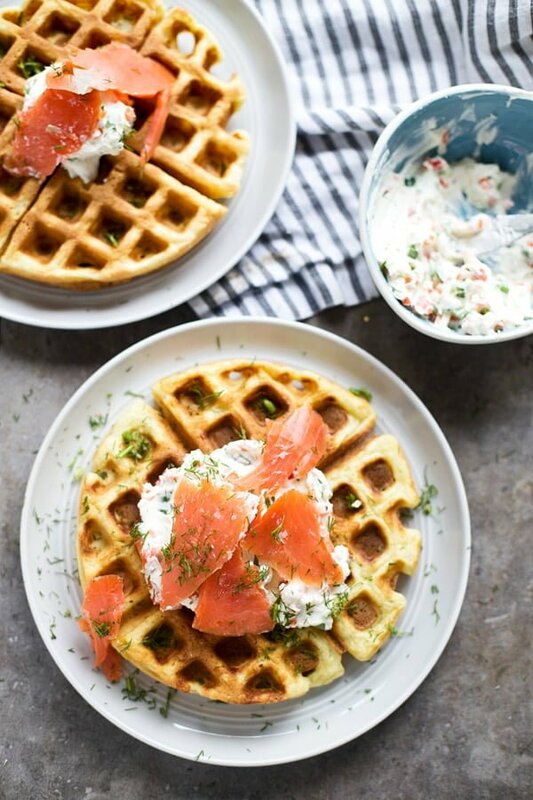 Because while bagel and lox is a perfectly harmonious duo, today things get a little bit more exciting with the addition of homemade chive and cheddar waffles and homemade veggie cream cheese. 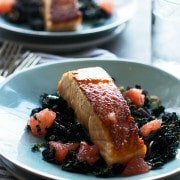 Although ultimately, any type of carb is a perfect match for salty, briny smoked salmon and tangy cream cheese, amiright? Our household (Kevin and Teddy) is huge into pancakes, but honestly, sometimes we (I) get a little bit sick of them, so we’ve been swapping the flapjack out every once in a while for super crispy waffles. 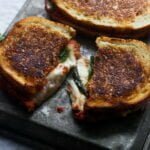 Each time we’ve used a different recipe, and like them all, but in our most recent batch, we used this recipe from Sally’s Baking Addiction, and were super happy with how tender they were on the inside, while still maintaining that crispy shell on the outside. 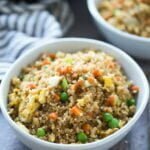 In this version, I cut down on the amount of butter used, only added a few tablespoons of sugar, and of course, added in the chopped chives and shredded cheddar cheese. I’d highly recommend buying a good-quality, extra-sharp cheddar cheese, because without the sharp, nutty flavor, it’s hard to detect cheese in the final product, but you definitely don’t need to buy something super expensive that’s been aged for a hundred years. If you look closely, you’ll notice that the cream cheese smothered across each perfectly crispy waffle is the homemade cream cheese we posted a few weeks back. In the post I noted that while the cream cheese was delicious, after the long process of making it, I wasn’t certain I’d make it again unless it was a special occasion. Well, I take it back. 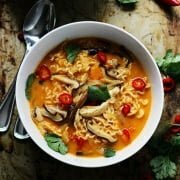 After it sat in the fridge for another day, the flavor intensified and I used it every single day for two weeks straight. If you’re still not up for making your own cream cheese, no problem, just buy store-bought cream cheese, let it come to room temperature and then continue to prepare it as directed in the instruction. 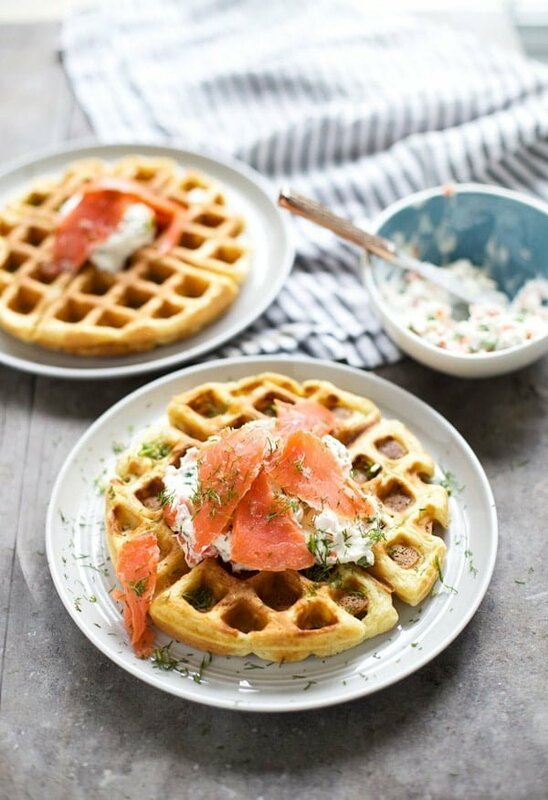 Assembly is easy: Slather each waffle with cream cheese, dot with salmon, sprinkle with dill and chives, and dig in with a fork and knife. Preheat Belgium waffle maker according to manufacturer instructions. 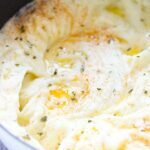 In a medium bowl, whisk together baking powder, baking soda, salt, chives and cheese. Set aside. In a large measuring cup, measure buttermilk. Add egg yolks, butter, sugar and vanilla Whisk until combined. Set aside. Add egg whites to a medium bowl. Use a handheld mixer to beat whites until still peaks form, about 5 minutes. Add buttermilk mixture to flour. Whisk until combined, but do not over mix. Use a spatula to gently fold egg whites in to batter. Fill waffle maker according to manufacture instructions. Cook until golden brown on both sides. Spread each waffle with cream cheese. Top with smoked salmon. Sprinkle with chives and chopped dill if desired. If you don't want to make homemade cream cheese, no problem! 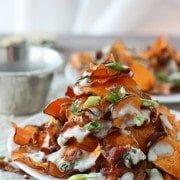 Just use 8oz store-bought cream cheese and make as stated. 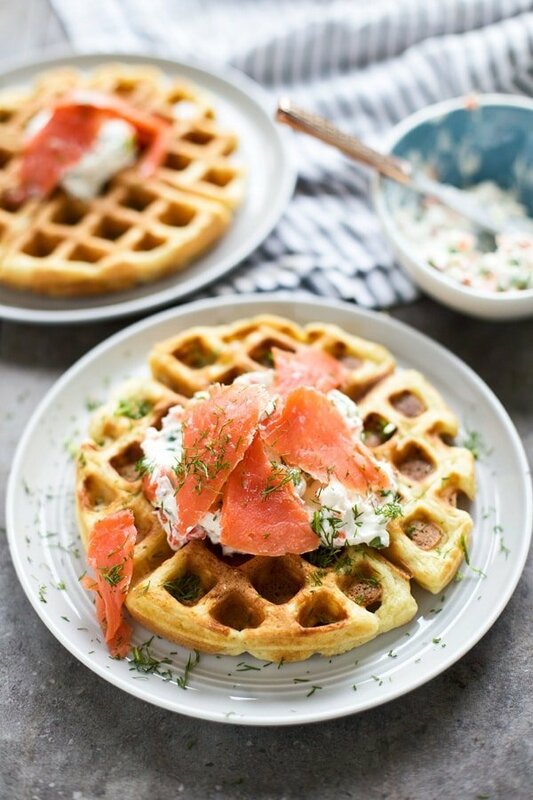 3 Responses to "Chive Cheddar Waffles with Lox and Veggie Cream Cheese"
I’m with you Shelia! Thanks for stopping by!